Samsung has developed the new line of several developments in battery tech recently and new graphene is the solution of fastest option. It is made of so-called graphene ball and it is reported that it is five times as fast as conventional lithium ion batteries and they are capable of charging the battery from zero to full charge in just 12 minutes. The capacity of the batteries was 45 percent higher. 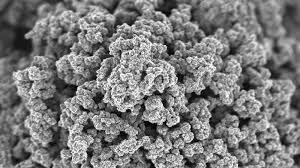 The new mechanism gets mass synthesized graphene material to turn them into 3D popcorn like structure and the transformation made possible by silicon dioxide and the material is applied to anode protective layer and cathode. The resulting batteries have stable temperature which can put concerns about the longevity and safety. The research was undertaken by Samsung Advanced Institute of Technology after making the partnership with Seoul National University School of Chemical and Biological Engineering. The latter educational institute claims to develop mechanism with the use of chemical vapor deposition or CVD to enable it the mass synthesization at affordable price. Graphene is prepared by single layer of carbon atoms, which is 100 times better to conduct the electricity than copper and 140 times better at the electron mobility than silicon. When you have 500 charge-discharge cycles, materials retain 78.6% of charge between temperature of 5 to 60 degrees Celsius. When the consumer technology devices like smartphones and tablets could have lot to get from it and the electric vehicles are possible application to faster charging of graphene and the capacity increasing properties.